 Hanover Cambridge Park is conveniently located at 88 Cambridgepark Drive, making it the perfect apartment to enjoy walkability in Greater Boston. Our luxury apartment complex rests just steps from the MBTA Alewife Station Red Line in the North Cambridge neighborhood, providing fast access to downtown Boston, the Minuteman Bikeway, and the Alewife Linear Park. In addition, it's easy to see why we're an ideal choice for any active lifestyle we're minutes from the Fresh Pond running and cycling route, and we're a short walk to Whole Foods or Trader Joe's next door in Cambridge Highlands. Our proximity to Boston's major universities such as Tufts, MIT, Harvard, and BU accommodate all transportation needs, whether it be by bike, public transit, or car. Contact us today to schedule a tour!